It’s about this time of the year when the winter blues can really start to kick in for us … which I’ve concluded has to be down to the lack of sunlight and abundance of rainfall we’ve had in Hampshire. So … in a bid to kick the winter blues I’ve started sowing seeds for the coming season and I have to say what an effect seeing a few green leaves can have on your spirits! The first seeds are Sweet Peas which I sowed in late January having first soaked the seeds for 24 hrs. I’m really pleased with the results as pretty much all the seeds germinated and are now growing on well in the poly tunnel. 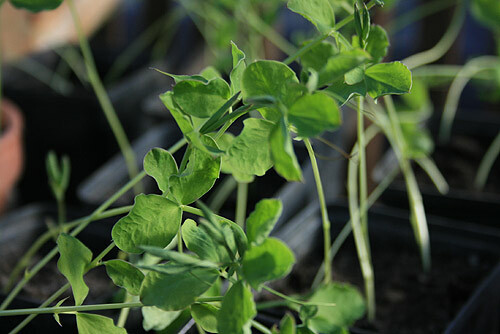 Try soaking Sweet Pea seed 24hrs prior to planting. I’ve also planted various vegetables Tomatoes, Aubergines, Celeriac, Leeks, Peppers, Runner Beans (Always start mine off in pots), Broad Beans, Basil and planted some Nicotania seeds I saved from a couple of years ago .. not sure if they’ll grow as they take an absolute age to germinate. 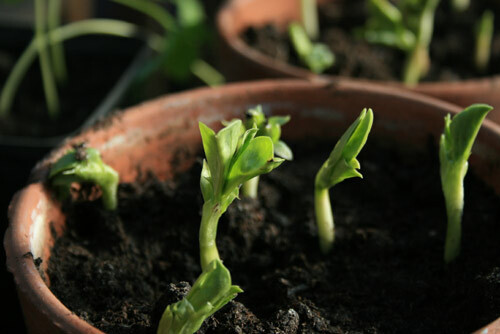 Sow your Broad Beans now for an early crop. Peppers will be ready to 'prick out' into larger pots soon. Runner beans ... managed to save the seeds from last year so this year they've cost us almost nothing to grow. 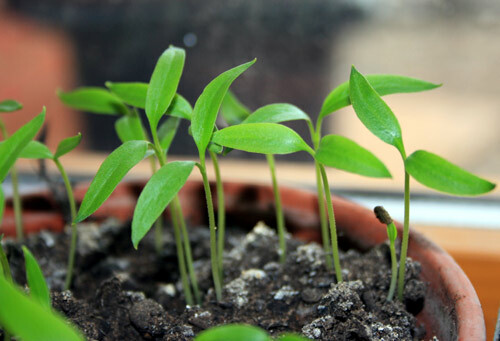 I tend to start most of my seeds off on the window sill to maintain the temperature needed for germination. As soon as they are strong enough I transfer them to the Poly tunnel. They can become a bit ‘leggy’ if they are left on the window sill for too long in a bid to find the light. 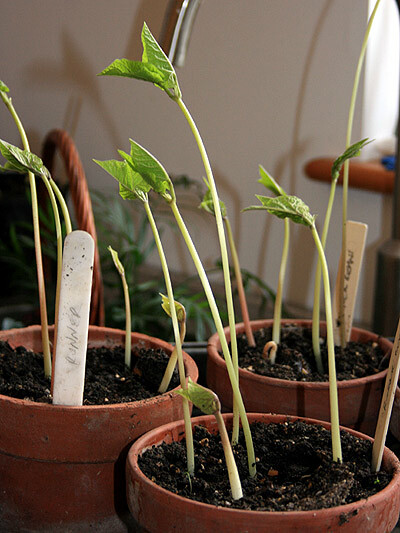 To counteract this I place a strip of silver foil behind the pots as this helps to bounce the light back onto the seedlings. Not 100% successful but it does help. Next week I plan to plant my early potatoes and finally get some onion sets into the ground .. weather permitting of course.